Why wait until after the wedding to take vacation when you can jetset early by taking an “earlymoon?” That’s what an increasing number of couples are doing, including celebrities like Pippa Middleton who reportedly vacationed with husband-to-be James Matthews in St. Barths before their May 2017 nuptials. There’s no doubt that organizing a wedding is stress inducing. In fact, 71 percent of engaged couples say that wedding planning is more stressful than other major events, such as buying a home or finding a job, according to a survey by Zola, a wedding planning company. Plan a mini moon for the wedding – even a getaway for even one to two nights with fresh expensive sheets, endless room service, binge-watching of Netflix and lots of non-wedding related talk can do wonders for the soul and reconnection. Before you start packing your bags, though, here are a few tips to ensure you get the most out of your trip – and don’t miss any important deadlines. While you may be tempted to hop on a plane right before the big day (especially once the stress really starts to kick in), you should aim to leave before the invitations go out. Many of the big decisions and stressful moments happen at the 2 month out mark, when the invites go out in the mail and things start getting real. So if you really want to get away, take a pause on planning and get your mind off of wedding, do it before this time – ideally, at the 4-6 month mark. You'll come back refreshed, recharged and ready to tackle the big decisions. 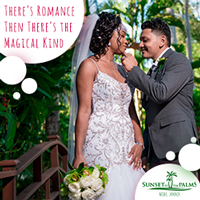 So, if you’re planning a June wedding, a holiday getaway is the ideal time for an earlymoon. 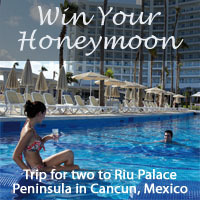 Or, if you’re getting hitched in October, shoot for a spring break escape. An earlymoon doesn’t have to be expensive, explains Jacobs. So don’t feel pressure to go on an extravagant, island-hopping adventure. Remember, this is a non-wedding-related break from everyday life – so even borrowing a family beach house or planning to stay the weekend in your own city is totally doable and budget-friendly. Popular earlymoon destinations include vineyard tours in California, bed and breakfasts in the Berkshire mountains or a charming coastal city like Charleston, S.C. But don’t feel limited to staying stateside if your budget is more flexible. To save money, set a fare alert with a travel site to find good deals and promotions. Or, you can encourage guests to fund your trip via Honefund.com in place of a traditional wedding gift. An earlymoon isn’t the kind of vacation to go off the grid; you want to remain accessible in case of an emergency or other wedding deadline. Luckily, with tools like Dropbox, iCloud or Google Drive plus a Wi-Fi friendly hotel, you should be able to dial into wedding updates without stress. If your earlymoon is all planning and no fun, you’re doing it wrong. So don’t forget to have fun on your mini getaway! The key to finding balance is setting office hours. This goes for any traveling I do as an entrepreneur, but it works for a bride and groom, too. Try first thing in the morning and/or in the afternoon before you change for dinner. Communicate with everyone that any other time you're ‘out of office’ and stick to it!